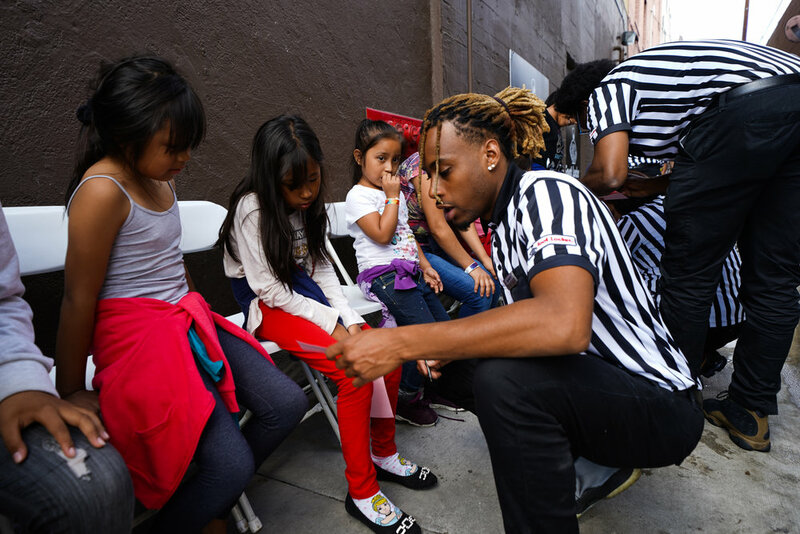 When I think back of all the events I’ve had the opportunity to be a part of, the first one that comes to mind is the Foot Locker & Fred Jordan Missions Back-to-School event. It’s such a great and humbling experience being able to put a smile on the under-served youth in LA as they get their brand new pair of shoes, clothes and so much more. I was invited back this year by Foot Locker to volunteer at the event and it was just as great as last years. It’s something so special and touching about being able to go from not knowing the kids to getting to know and leaving a forever memory with them in a matter of minutes. We all have at least one memory we can think back as kids of getting our first brand new pair of shoes or a toy we really wanted and the fact that we possibly can be that memory for the kids is truly amazing. 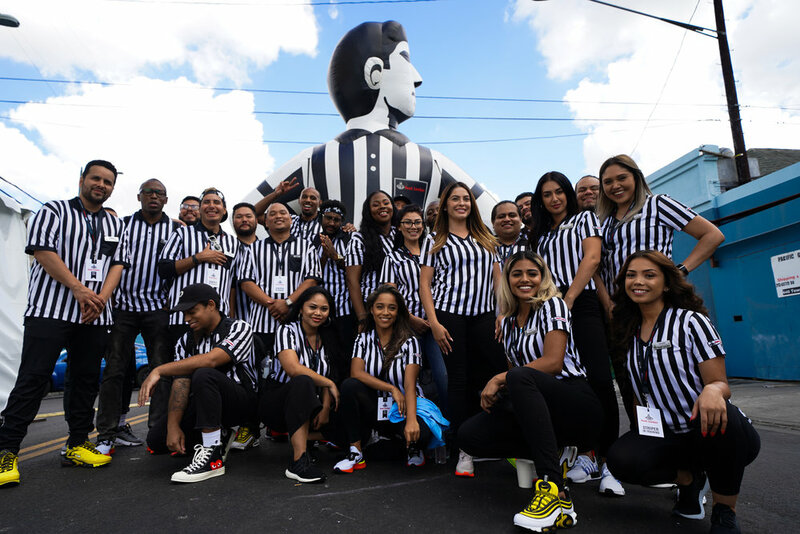 Thank you to my Foot Locker family for having me again this year. I’m looking forward to next years already!